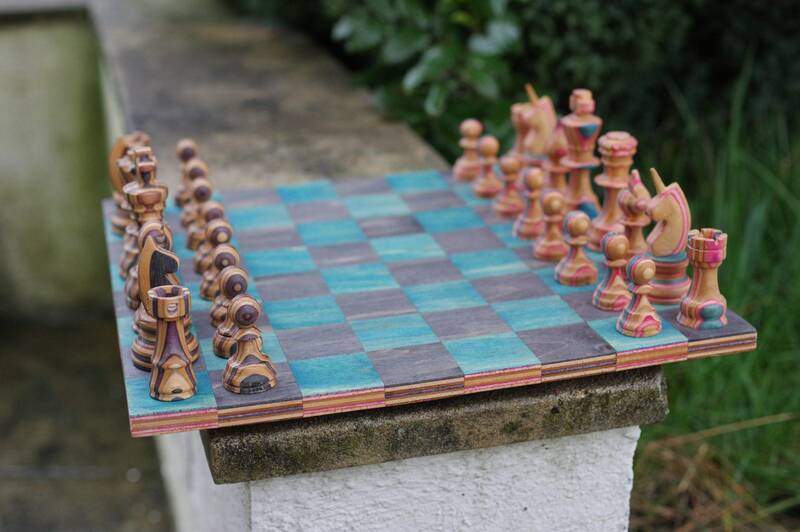 Beautiful chess game recycled skateboard. 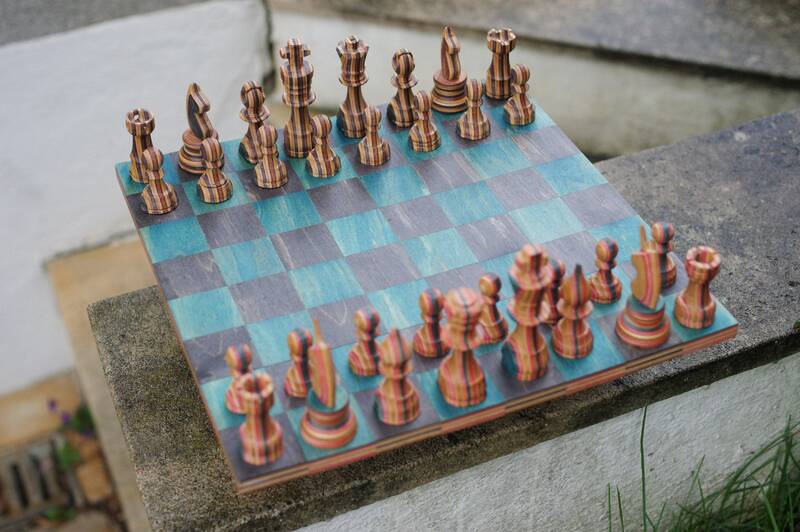 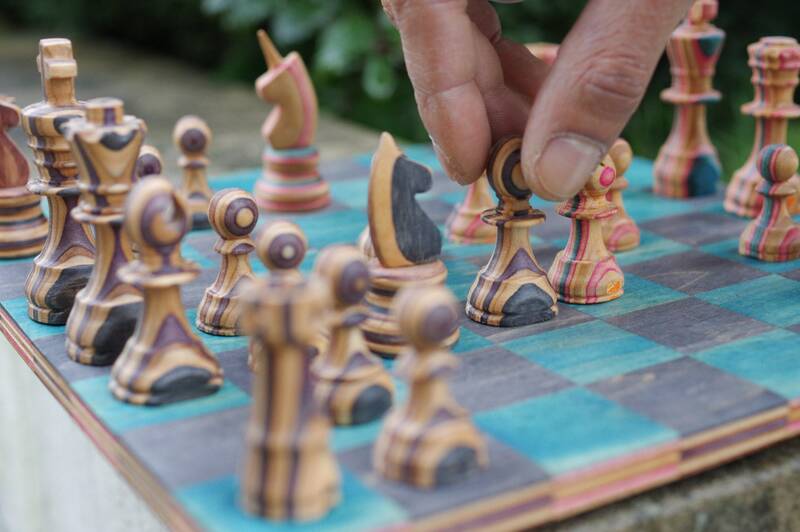 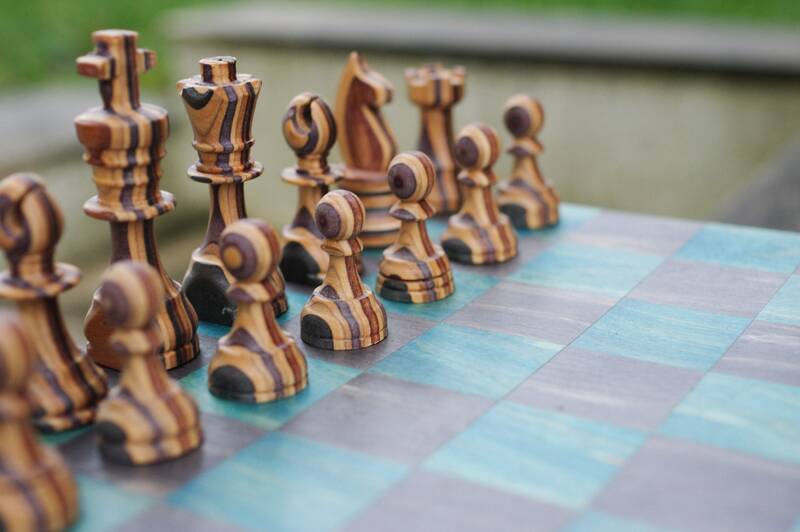 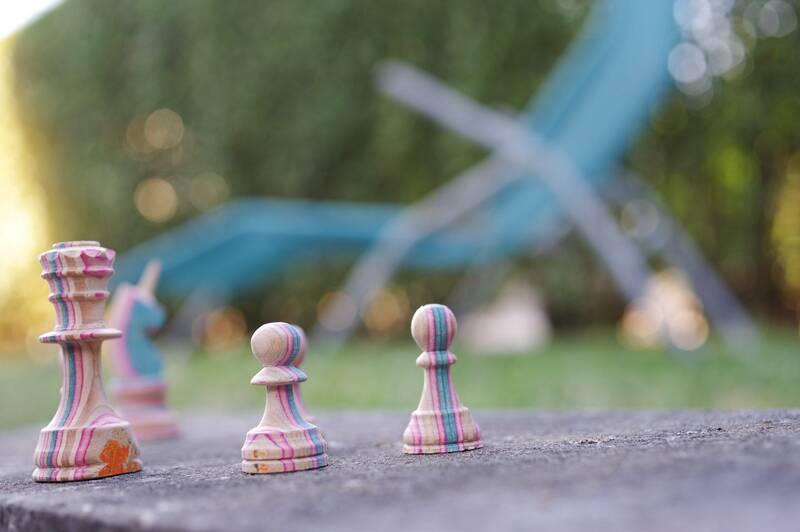 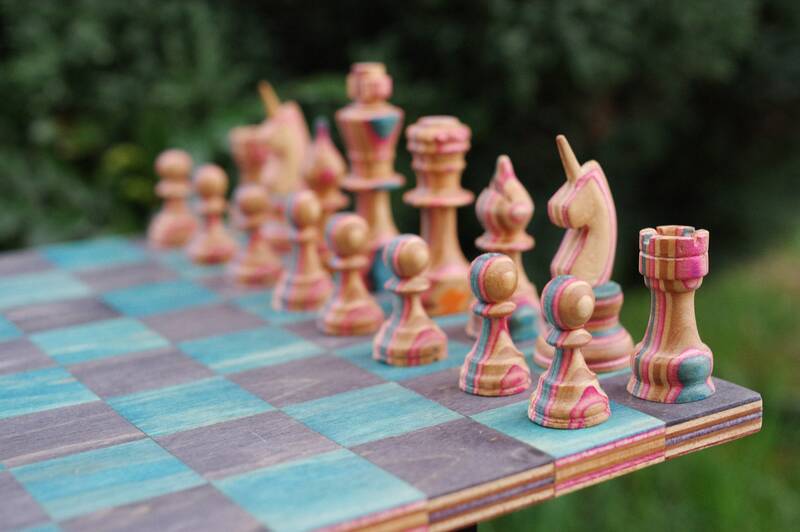 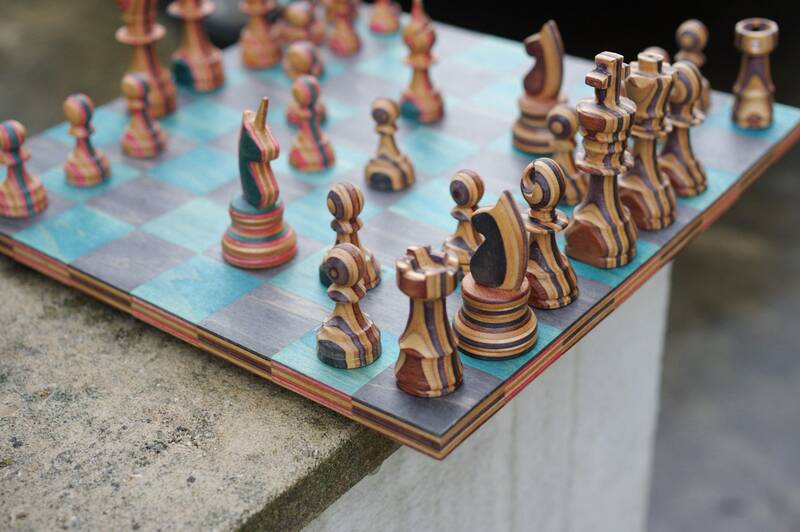 Entirely handmade in France by woodturning, this chess game is entirely made from used skateboard ! 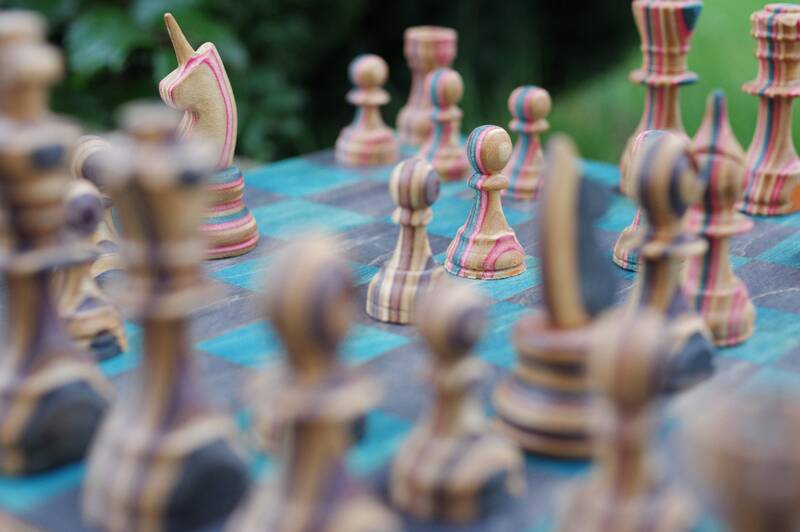 The wood is treated against moisture with a vegetable and natural oil. 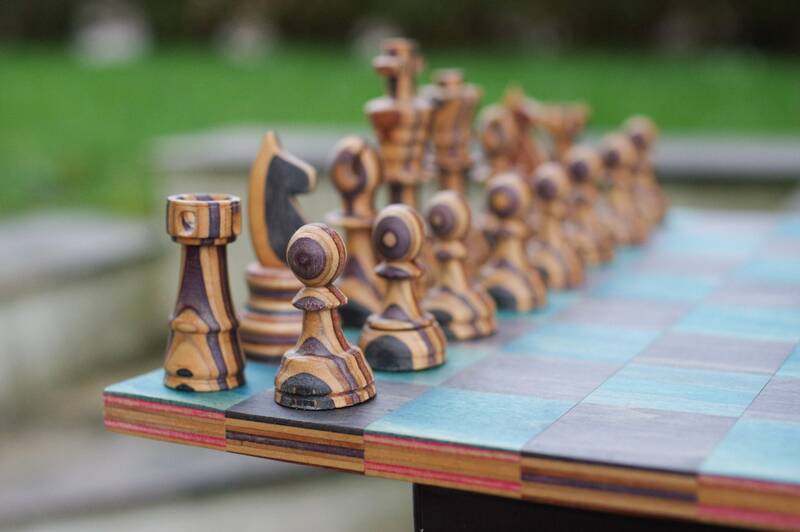 Each of the 32 pieces is unique. 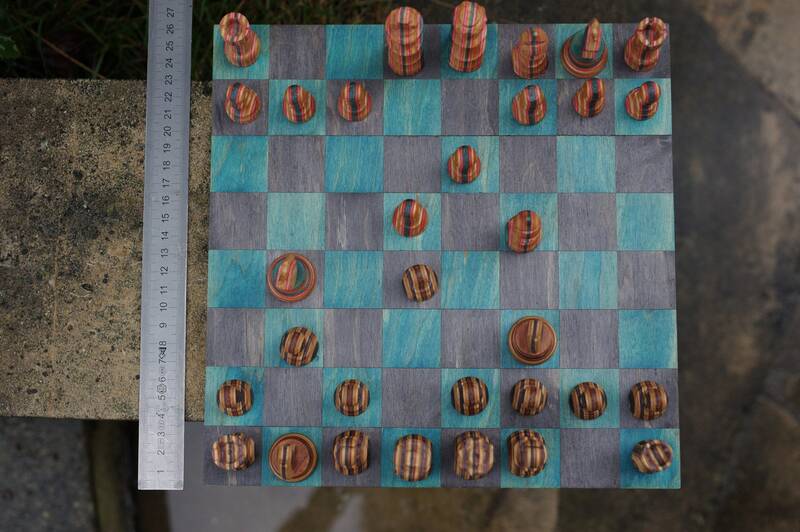 Delivered with a keyring 7PLIS skateboard FREE !